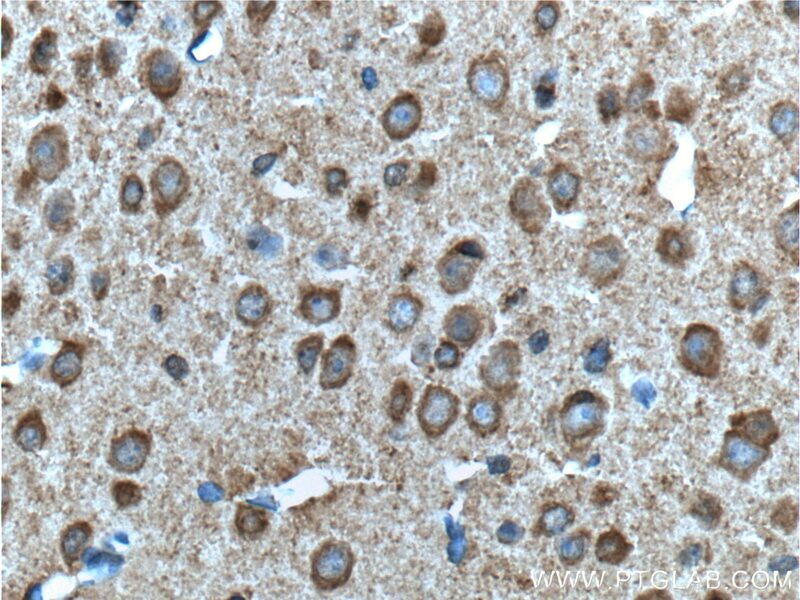 Immunohistochemical analysis of paraffin-embedded mouse brain tissue slide using 19776-1-AP( ADRA1B-Specific Antibody) at dilution of 1:100 (under 10x lens). heat mediated antigen retrieved with Tris-EDTA buffer(pH9). 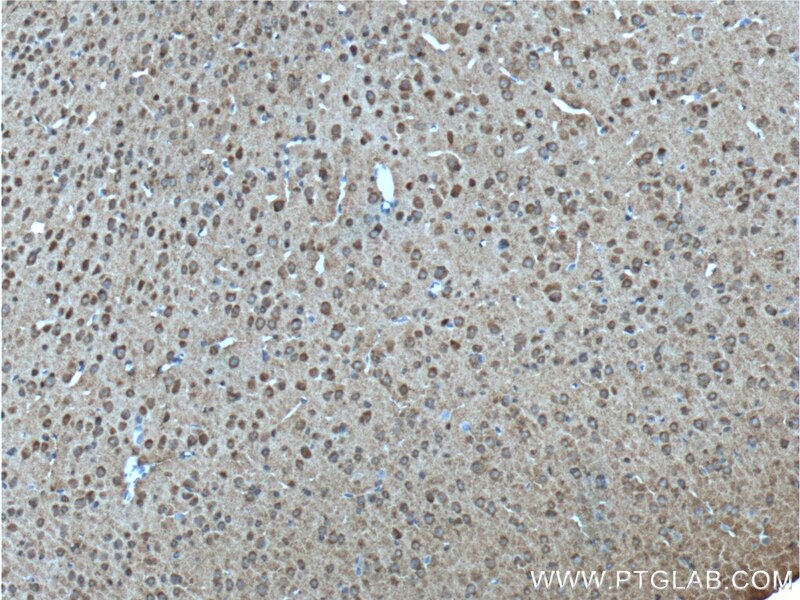 Immunohistochemical analysis of paraffin-embedded mouse brain tissue slide using 19776-1-AP( ADRA1B-Specific Antibody) at dilution of 1:100 (under 40x lens). heat mediated antigen retrieved with Tris-EDTA buffer(pH9). ADRA1B belongs to the G-protein coupled receptor 1 family. ADRA1B mediates its action by association with G proteins that activate a phosphatidylinositol-calcium second messenger system. This antibody is specific to ADRA1B. 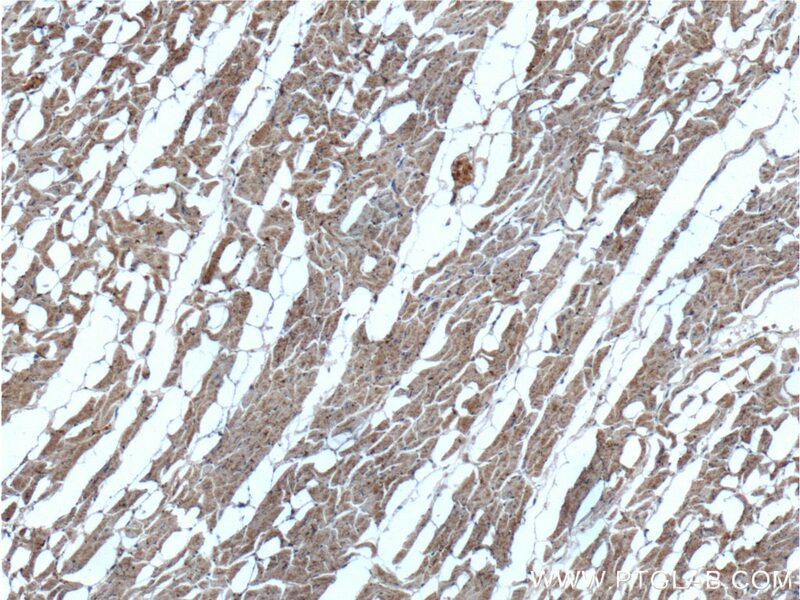 Immunohistochemical analysis of paraffin-embedded human heart tissue slide using 19776-1-AP( ADRA1B-Specific Antibody) at dilution of 1:100 (under 10x lens). 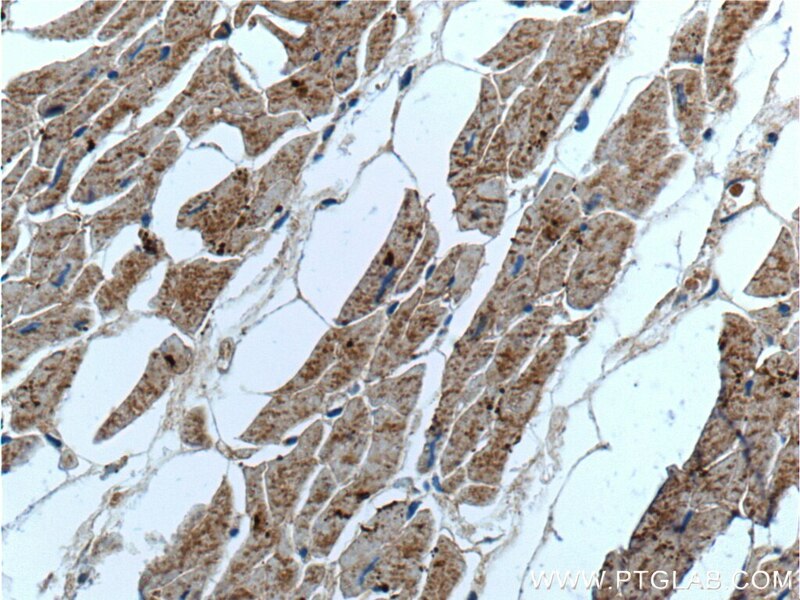 Immunohistochemical analysis of paraffin-embedded human heart tissue slide using 19776-1-AP( ADRA1B-Specific Antibody) at dilution of 1:100 (under 40x lens).